OK, it’s Labor Day weekend… having a nice time with some family and pretty much a laid back weekend. Nice way to end the summer. 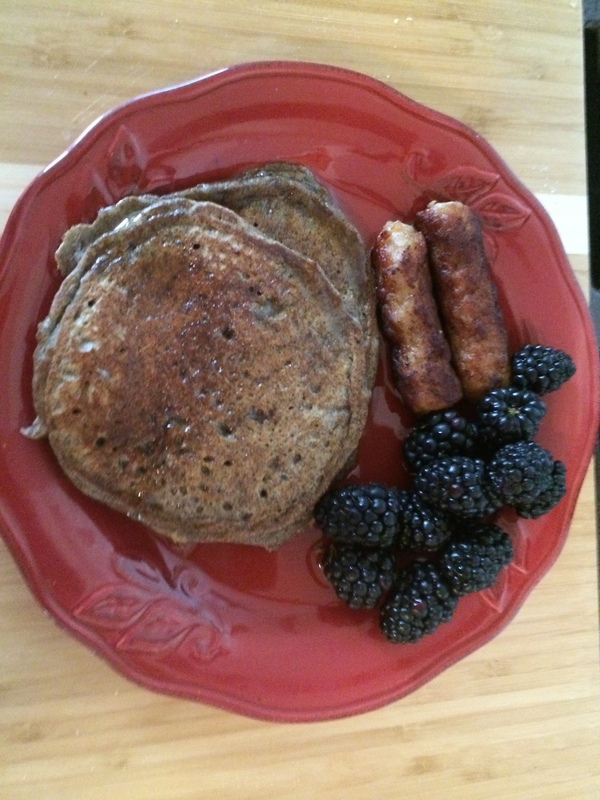 Kids are heading home this afternoon, so decided to try a new recipe for a hearty breakfast. 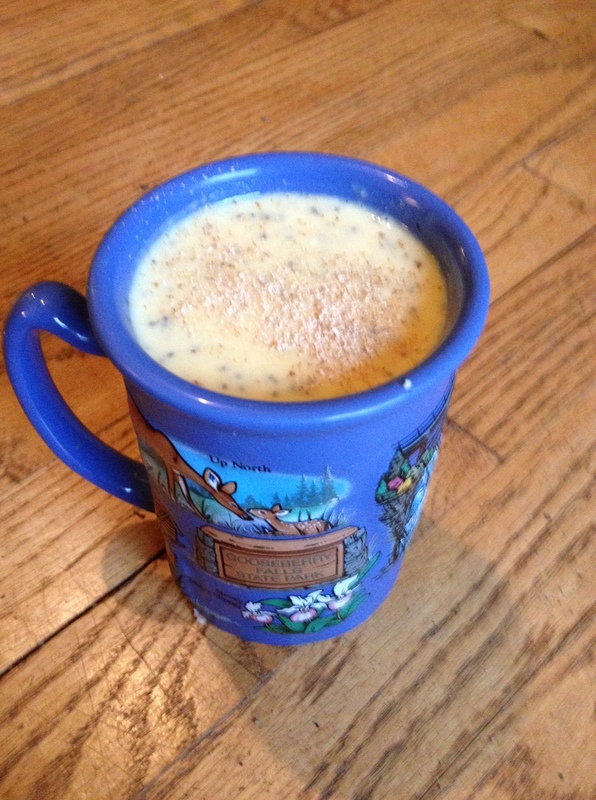 I subscribe to “Clean Eating” magazine and often find some “winners” for recipes. Today I hit the mark big time. 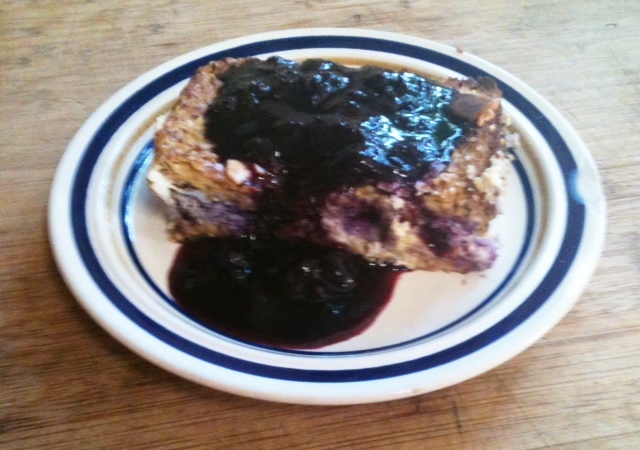 Julia O’Hara had a recipe for Blueberry Cheesecake Stuffed French Toast. As I read through it, I made a few minor modifications and put it on the table to rave reviews. 10-12 slices of whole-grain bread. Preheat oven to 350 & lightly grease a 13 x 9 inch pan. Place half the bread in the pan, covering the bottom and cutting crusts as necessary to fit. Combine cream cheese, Ricotta cheese, 1 Tbsp. sugar, and 1 egg in food processor. Blend until smooth. Pour the mixture over the bread and then layer a pint off blueberries on top of this. Cover with remaining bread slices, cutting crusts as needed to fit. 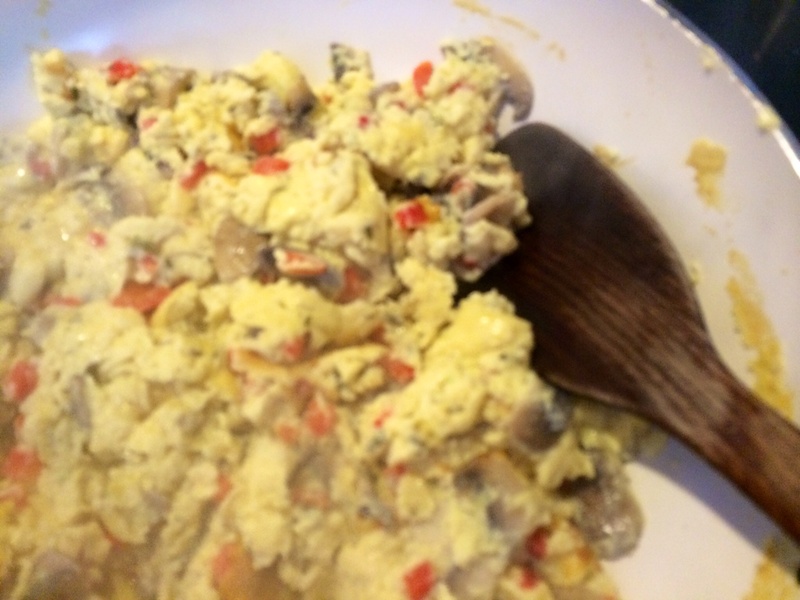 In a medium bowl, whisk together 4 eggs, the milk, 1 Tbsp. sugar, vanilla, cinnamon, & salt. Pour this over the top of the bread. 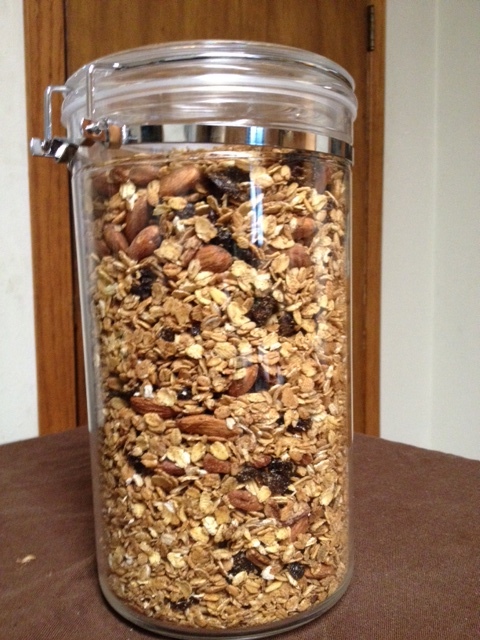 Mix the almonds and 1 Tbsp. sugar and then sprinkle over the bread evenly. Cover pan with aluminum foil and bake for 25 minutes. Remove the foil and bake 10 more minutes. Then turn your broiler on and broil for 2-5 minutes (watch carefully) to get a nice lightly browned crust. Remove from oven and cool a few minutes before serving. While toast is baking, combine the remaining pint of blueberries, 1/2 cup water, and 2 Tbsp. 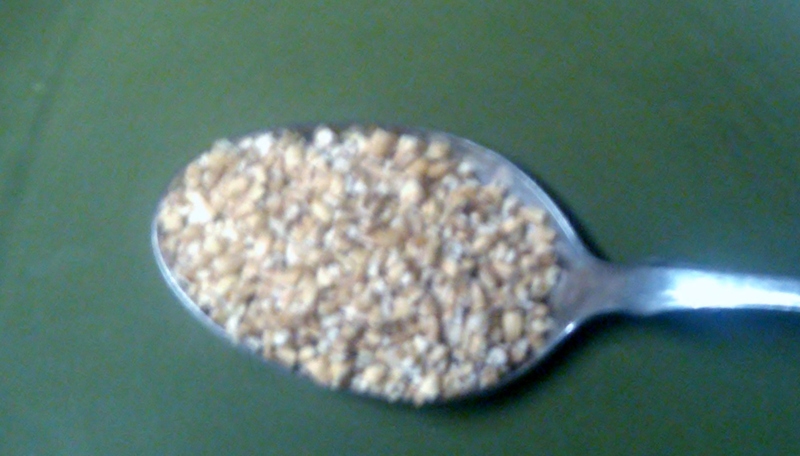 sugar in a small pan. Bring to boil, and then simmer 5-10 minutes until the berries burst and sauce begins to thicken. Add lemon zest if desired. To serve, divide casserole as you would a cake and place 2-3 Tbsp. blueberry sauce over the top. The way my crew dumped on the blueberry sauce, I’m thinking another cup of blueberries wouldn’t be the worst thing in the sauce – add another 1/4 cup water and adjust as needed. Hope you enjoy this as much as we did and thanks to Ms. O’Hara!